What is a resin kit? Resin is a rigid plastic elastomer which can be hand poured and be used to make prototypes and small runs of merchandise. What tools do I need to build these kits? X-acto #11 Knife, Pin Vise, emery paper, super-thin acc cement (Hot Stuff, Jet, etc) and a square. How hard are these to build? These models should be build by persons who have had some modeling experience. If you have never built a resin kit we suggest that you start with a flat car or gondola, then move on to boxcars. Covered hoppers and cabooses are the most difficult although the newer covered hoppers (Phosphate and ACF) have been designed for easier construction. How long will it take me to build my kit? For an average modeler kits will take one day for a flatcar, gondola or One Piece Body Kit and 2 days for a flat kit. What is and is not included in my kit? The kits include the castings, grabirons and wire, Tichy Trains detail/brake parts and/or cast detail and brake parts. 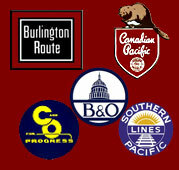 Kits do not include glue, paint trucks(except some of the coaches and milk cars) and couplers. Why don't you supply trucks with the kit? Everyone wants different trucks and wheel sets so it is impossible to make everyone happy. It would also raise the price of the kits. Are there any special instructions for painting the kits? These things are fragile right? Resin is not fragile. It is extremely strong (much stronger than styrene) and still maintains flexibility. Oops, I broke a part on my kit while building it, what do I do? Contact us as to which kit and which part. If the kit is still available we will replace the part(s). What are thin film decals and is there any trick to using them? Thin film decals are made by us. They are each silk screened one at a time by us. The paper is also coated with a thin clear plastic film which is designed to dissappear completely with decals setting solution. The model should be painted with either a glossy paint or a gloss finish and be allowed to dry thoroughly before painting. We recommend that you release just the piece you need for an area in water. Slide them onto the model and then use setting fluid. When dry models should be coated with a dull finish. Can I buy the decals separately? 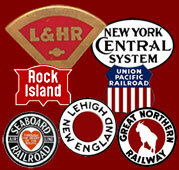 If we made the decals, and the silk screen is still in use we sell them. What is the difference between a poly bag kit and a regular kit? There is no difference in the box or bag except that we sell kits that are normally 2-Packs in boxces singly in bags (ex. FM flatcar, GR Gondola Etc.) and the Rutland Gondola is one-sided in a bag and has detail on the interior also when in a box. The purpose of the bags is to provide beginner kits for modelers who have never built a resin kit, to sell kits that are over-stocked and to put kits on sale. Where can I buy these kits? 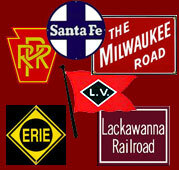 Walthers, the stores listed under "Buy Kits", at Train Shows which we attend or by direct mail. Ask your dealer first. Why aren't your kits for more "mainstream" cars? The versitility of resin allows us to make small runs with many permutations of a kit which makes them marketable to modelers who appreciate high quality, finely detailed models. It would not be economically intelligent for us to compete with either the ready to run kits or styrene kits. How do you pick which prototype cars you will produce? Customers tell us what they would like to see. We see interesting articles,books and pictures that would make good kits. 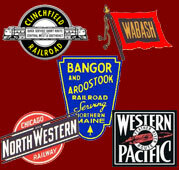 We also make items for specific geographic regions when we plan to attend a train show in that region. Please e-mail us with your questions.